Financial issues are the most common problems many companies face today. One financial issue, in particular, tends to bother companies more than any other and that is the cash flow issue. The main reason cash flow issues are so troublesome is that cash is the most valuable asset any business can have. The reason for that is that cash is the most liquid asset. In other words, if you have cash, you can pay any immediate expense or make an investment instantaneously. Every other asset takes time to liquidize and sometimes you simply cannot wait that long. Not only that, but companies that generate good revenue can still go bankrupt if their cash flow is negative. That’s why it’s very important to ensure that you always have a positive cash flow. Sometimes, you’ll have to make some alternative investments, in order to secure a good cash flow for your business. Here are a few ways you can increase cash flow with alternative investments. 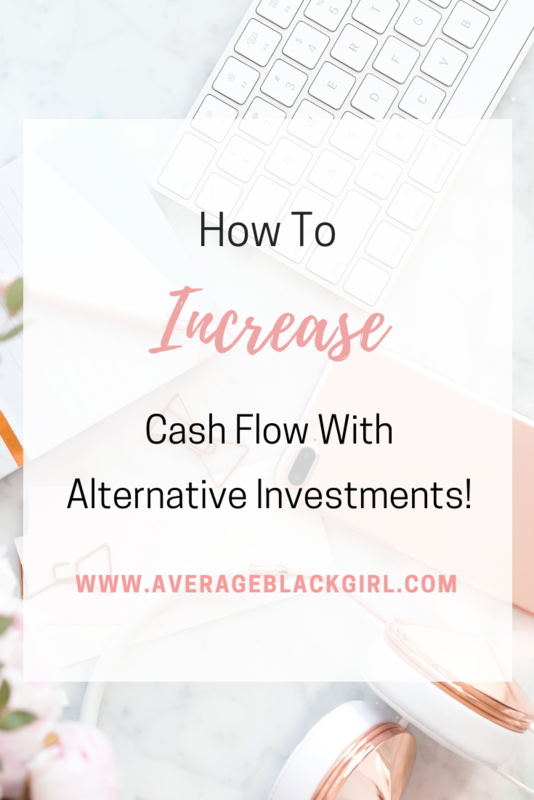 Before you explore alternative investment opportunities, it’s important to understand what cash flow really is. In essence, cash flow is the money going into and out of your company. The money you have after you’ve gotten paid and after you’ve paid your dues is the cash you have on-hand. Cash flow is determined by calculating your accounts receivable and accounts payable. Simply put, your profits and expenses. If there’s more money flowing into your business than there is going out, you have a positive cash flow and vice versa. Investing in properties is always a good way to secure additional funds for your business. Properties can always be sold for a return on investment once the price goes up, but if you want cash flowing in, you should consider investing in rental property. You can purchase a rental property on your own or you can join a real estate investment group to buy shares in a rental property. Either way, you can collect money from rent and tax returns, which you can invest directly in your business. Of course, there are still expenses for properties, such as maintenance and utility, but with good planning, you can minimize the expenses and maximize your profits. Precious metals have always been the most popular alternative investment on the market. The main reason is that they provide a hedge against inflation, as well as global economic and political instability. What’s more, they are an excellent means of diversifying your portfolio. Precious metals, such as silver, gold and even very rare platinum have inherent value and are always in high demand. Not only are they sought after for their value, but also for their wide variety of uses in various industries. For example, gold silver and platinum, find their use in electronics, jewelry, medicine and other industries. They can be bought as coins, bullions, and bars to suit your investment needs. Venture capital is a form of private equity investment. This alternative investment consists of funding small companies and startup business in their earliest stages of development. Businesses that have good growth potential, as well as the potential to become lucrative are usually targeted by venture capitalists. The way it works is that you financially support a business in exchange for shares of their company. After the company becomes successful and reaches the stock market, you can gain a considerable return on investment and you still own shares of the company. There’s, however, a risk of the company not reaching success as intended. But, venture capital should be a calculated risk, which means you should only invest in companies with the highest chances of success. The stock market can oftentimes be perceived as intimidating for most investors. However, it’s not as bad as it may seem, once you’ve done a bit of research. Investing in stocks is one of the most stable and safest alternative investment methods. The main reason is that the stock exchange tends to be regulated by the government, which greatly lowers the risk of investing. Investing in stocks means you buy a small percentage of some company. That includes the assets of the company, as well as its incomes. You can sell the stocks after the price has gone up or you can keep them and get regular payoffs from dividends. Either way, the stock market is a good way for alternative investing. Many business owners are always looking for ways to improve their company’s cash flow. Reducing overhead costs and minimizing expenses is a good way to start, but eventually, you’ll need a more secure method of ensuring a positive cash flow. Alternative investments are a good way to achieve that. The main reason is that these types of investments can ensure additional funds flowing into your business or assets you can liquidize in case of an emergency.